On West 77th Street, a block is completely transforming into a charming, Upper West Side treasure by the addition of developer Naftali Group’s two projects, 210 and 221 West 77th Street. A $20 million sale has closed on a fabulous four-bedroom duplex penthouse at 210 West 77th Street, the highest price ever paid for a mid-block residence on the Upper West Side, according to data from Stribling Associates. The nearly 6,000-square-foot penthouse features an open layout with expansive Central Park and city views with northern, southern, and eastern exposures, as well as a rare wood-burning fireplace, two keyed elevators, and gorgeous outdoor space. Alexa Lambert of Stribling Associates sold the penthouse at 210 West 77th Street on December 30, 2016, exactly one year to date after selling the penthouse across the street at sister building 221 West 77th. 210 West 77th has one remaining home, a full-floor five-bedroom featuring Central Park views, a setback terrace and keyed elevator entry. One of the last buildings to be approved with wood-burning fireplaces, a now rare amenity which will be enjoyed in this home. Originally one of the first units to sell in the building, the residence is back on the market after its initial buyer was unable to close. Asking price is $10,350,000. Across the street, sister building 221 West 77th has four units left – two five-bedrooms and two four-bedrooms, ranging in price from $6,950,000 to $7,950,000. 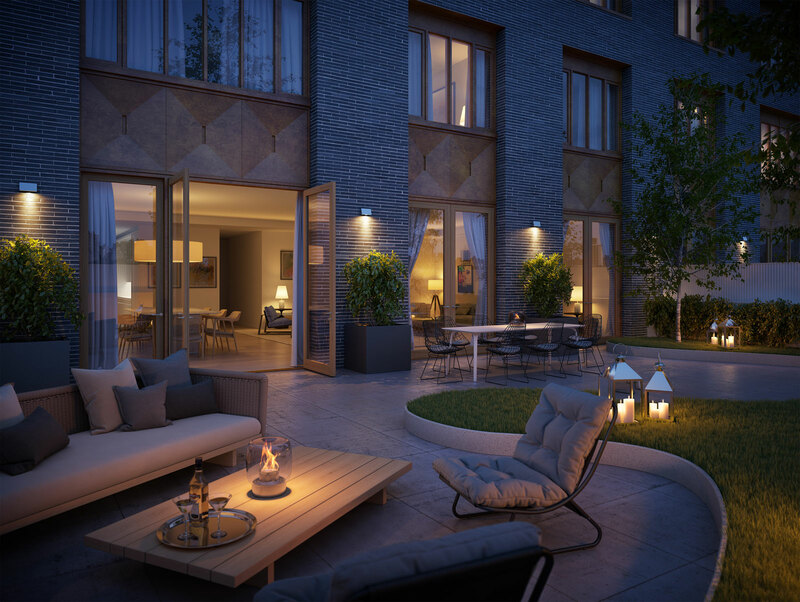 Designed by Thomas Juul-Hansen, the boutique building offers exceptional amenities and spacious residences that balance old-world elegance with a fresh, contemporary feel. The Naftali Group is one of New York’s most active real estate developers of residential, commercial, institutional, mixed-use and retail properties. Collaborating with leaders in interior design, architecture and construction, the group is committed to excellence in developing properties that are exceptional in their attention to detail, quality, sustainability and design. Naftali Group currently owns, operates and is developing 15 residential properties in prime neighborhoods throughout New York City made up of more than 1,000 units and approximately 1,337,000 square feet. As a builder, owner and operator, Naftali Group’s portfolio includes 275 West 10th Street, 182 West 82nd Street, 210 West 77th Street, 221 West 77th Street, The Seymour at 261 West 25th Street, 234 East 23rdStreet, The Arthur at 245 West 25th Street, The Landmark Park Slope, 33 Beekman and other multifamily assets and investments throughout New York City. For more information please visit www.naftaligroup.com.